Vietnam offers its numerous visitors a mixture of big cities, nature and culture. Book a hireal car and discover the enchanting country on your own. You will definitely be amazed while driving through Vietnam in a hireal car. Visit our portal Driveboo.com and find the right car at the best price for your trip to Vietnam! 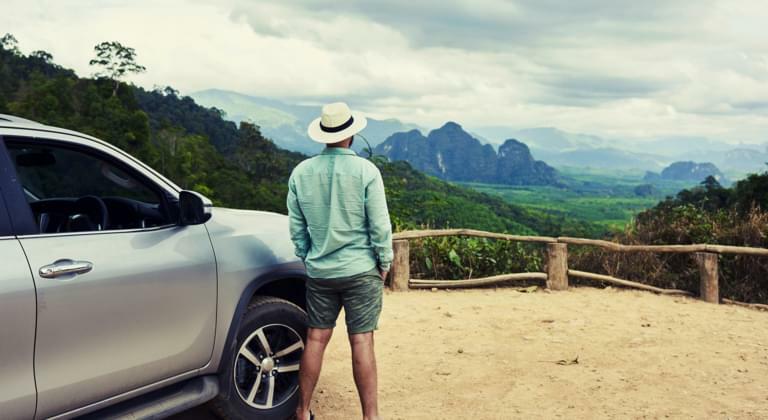 Where can I find a car hire company in Vietnam? Make sure to book fully comprehensive insurance without excess. In this way you will not have to pay any additional costs in the event of damage and you can enjoy your holiday in Vietnam stress-free! Halong Bay is a UNESCO World Heritage Site and will give you a feeling as in Pirates of the Caribbean. Marvel at the more than 2000 limestone rocks rising out of the sea, while embarking on a discovery tour with a kayak. The Mekong Delta is located in the south of Vietnam and is truly a green oasis. For example, book a boat trip and try the delicious fruits while driving along the Mekong. Hanoi is the pulsating capital of Vietnam, where you can experience the country up close. Try the culinary delights in one of the coffee shops, restaurants or simply on the street. In the evening you can relax at one of the lakes with a drink and watch the locals doing their evening sports.